Remember reading your favorite book as a kid and feeling like the stories were alive? Like you could really see what the characters were doing? Disney is making that fantasy a reality with a new device they call HideOut. 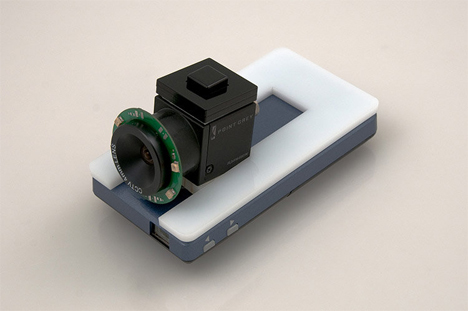 The HideOut is a simple hand-held projector that augments the characters in a book or board game with characters that seem to leap off of the page. It works with hidden infrared-absorbing markers that are invisible to the naked eye. A special camera in the hand-held projector sees them, though, and digital imagery interacts with the surface onto which it’s projected. Little characters run around on the pages of a book, adding a real-feeling layer to the words. 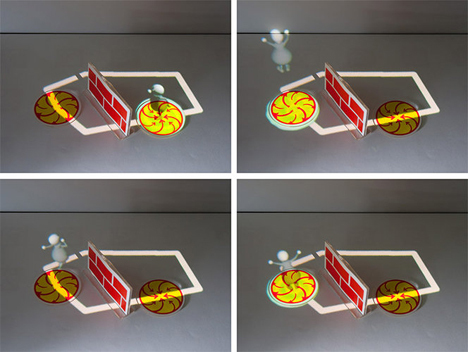 Games use real-life physical pieces that interact with the projected characters, causing them to move this way or that. The really fun part of the HideOut is that little children can handle it with ease, and their entertainment experience is not interrupted when they wiggle around. 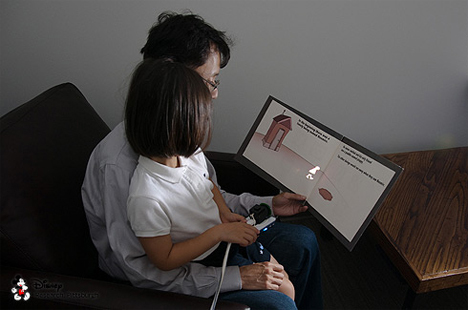 The digital flashlight-like device keeps track of its position relative to the position of the book at which it is pointed and keeps the characters playing and amusing kids all day. Disney hasn’t released the HideOut yet, but hopefully we’ll see this kind of immediate, ultra-fun augmented reality platform in homes soon. 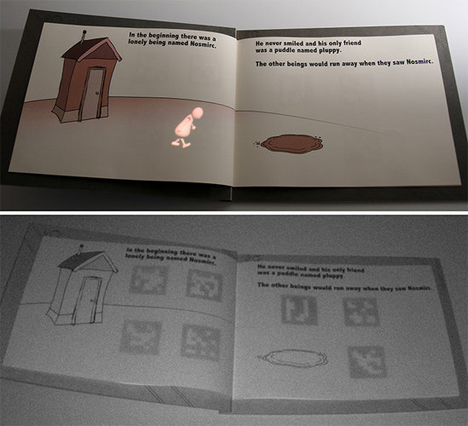 Because there is no need for special hardware like a visual translator between the book and the viewer, the flashlight becomes a kind of magic wand that brings little pretend characters to life. And that is exactly how you delight kids both young and old. See more in Gaming & Geek or under Gadgets. August, 2013.